Homeland Security Secretary Kirstjen M. Nielsen has tasked Manuel Padilla, U.S. Border Patrol’s former Rio Grande Valley sector chief, with leading the agency’s efforts in dealing with the increase in asylum-seekers surrendering at the southwest border. Nielsen held a meeting on what officials are calling a humanitarian and security crisis at the border, where she received updates on the latest apprehension numbers, capacity challenges and the department’s operational response, according to a news release from the U.S. Department of Homeland Security. To help U.S. Customs and Border Protection and U.S. Immigration and Customs Enforcement “bring the situation under control,” Padilla has been temporarily reassigned effective immediately to lead an “interagency border emergency cell,” as well as to “improve information sharing and coordinate interagency support,” according to the release. 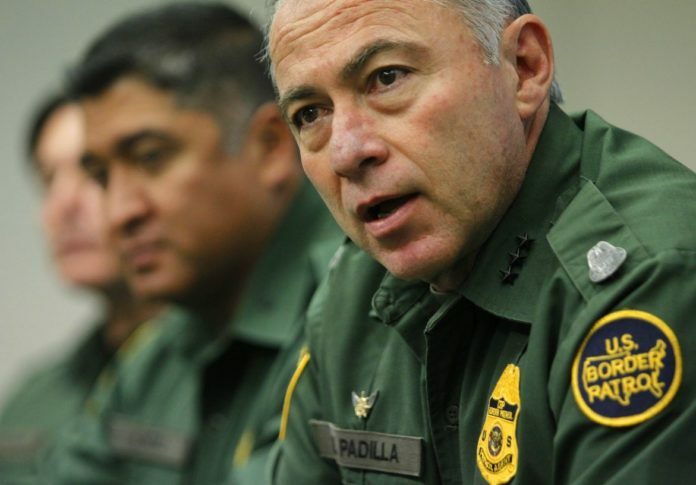 In September, President Trump appointed Padilla, a 30-year veteran of Border Patrol, the director of the department’s joint task force. Padilla had been the chief patrol agent for Border Patrol in the RGV sector since 2015, having also served in that capacity in the Tucson, Arizona and New Orleans sectors, and as associate chief at the office of Border Patrol in Washington, according to the agency’s website. Nielsen on Monday directed at least 750 CBP officers from field offices across the country to help with increasing numbers at southwest border facilities. It’s possible that as many as 2,000 CBP personnel may also be sent. Although the number of families and unaccompanied children is increasing, as asylum-seekers stop arriving at ports of entry and instead are surrendering to Border Patrol agents, these numbers are still at 20-year lows. Last year, Border Patrol apprehended 396,579 people at the southwest border, which is about 25 percent of what was experienced in 1999, when agents apprehended 1,579,010 people, according to the agency’s statistics.